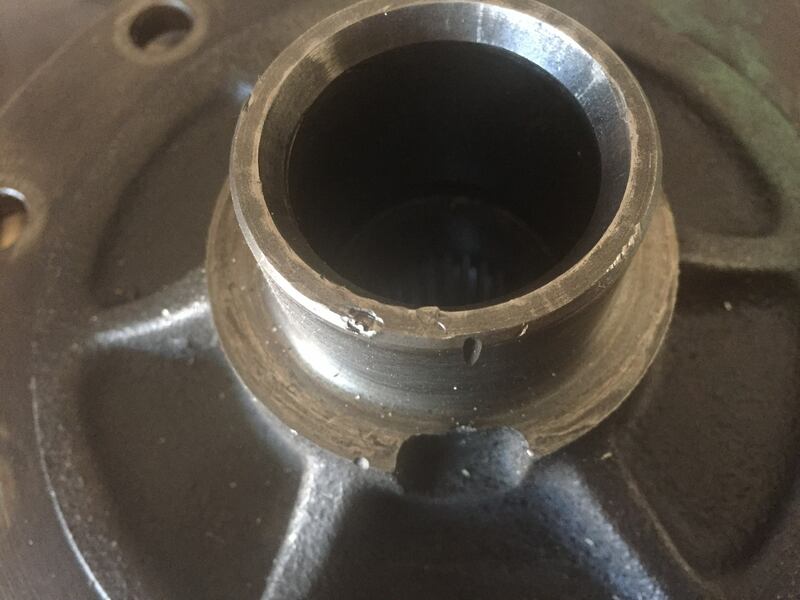 So the 28-spline I picked up from Pick-n-Pull earlier this year has some damage to one of the bearing race surfaces. I'm sure I don't need to worry about this, but wanted to get a second opinion. What do y'all think? Very carefully file the burrs off and you should be fine. Let the intact surface guide it, and use a fine file with not extremely high pressure. You'll feel when it stops cutting. Otherwise I wouldn't worry too much about it. It just needs to not have high spots that will interfere with pressing the bearing on or seating fully against the shoulder.